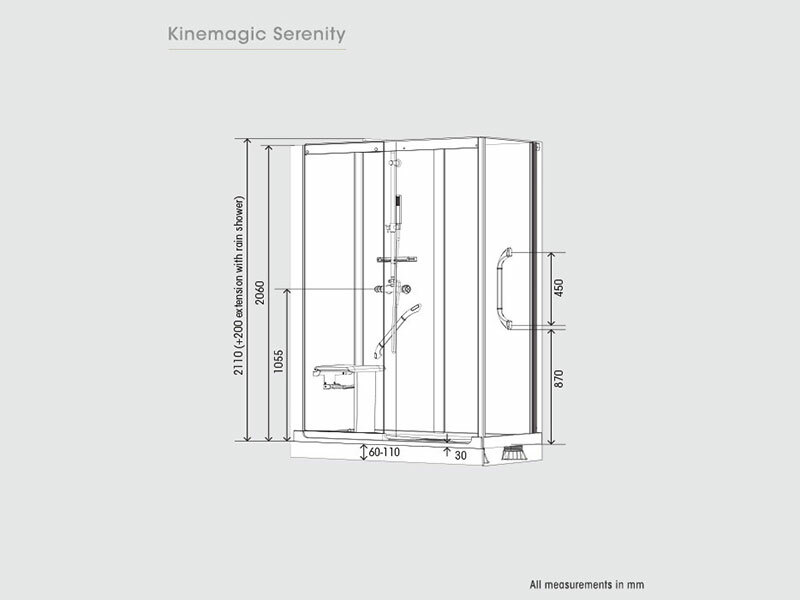 KineMagic Serenity shower cubicles can be used by all, but are specifically designed for providing care-assisted showering or other help to a less able person who needs assistance in washing. Manufacturer’s RRP from €4,248 to €4,870 – so buy here for BIG savings! They include a comfortable fold-down seat that can accommodate body weight up to 150kg (24 stone). 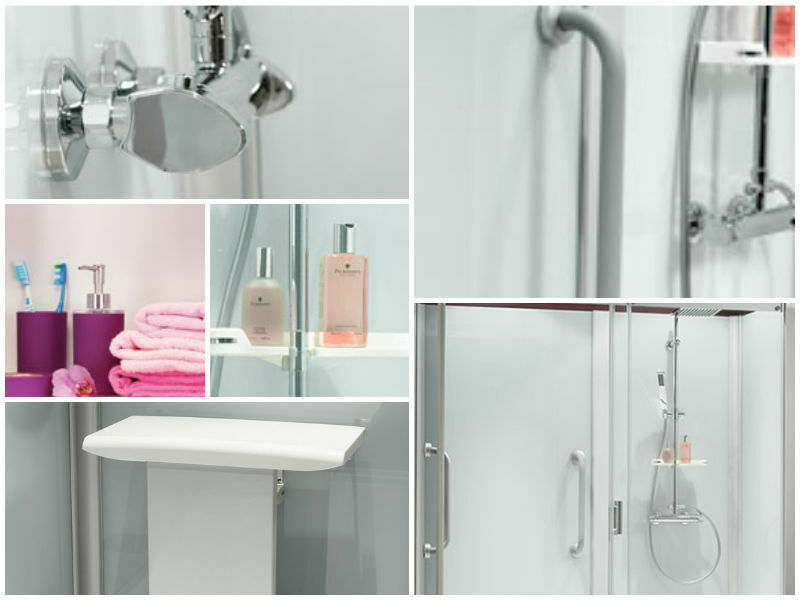 Other features include secure grab bars, and anti-slip flooring, to provide a fully safe showering experience for all. 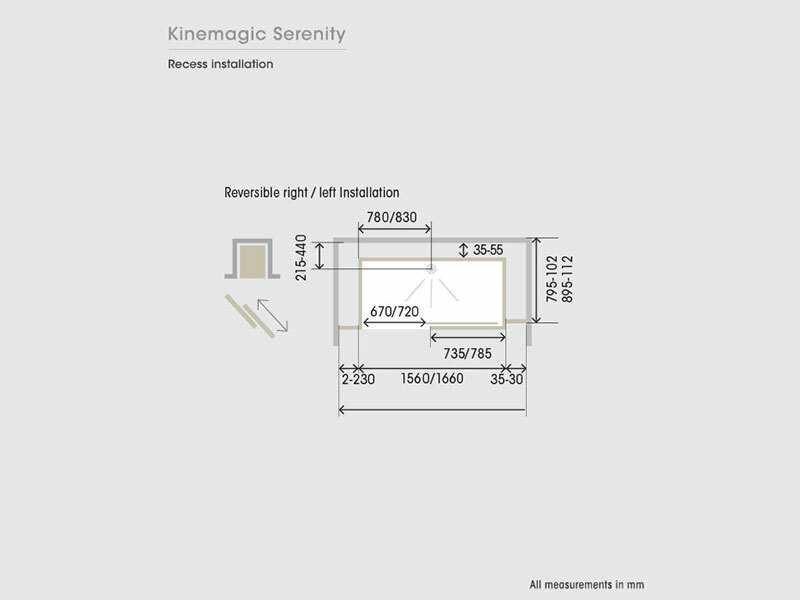 KineMagic Serenity shower cubicles fit exactly in the space of a bath they may be replacing. They come complete with an integrated thermostatic shower control. 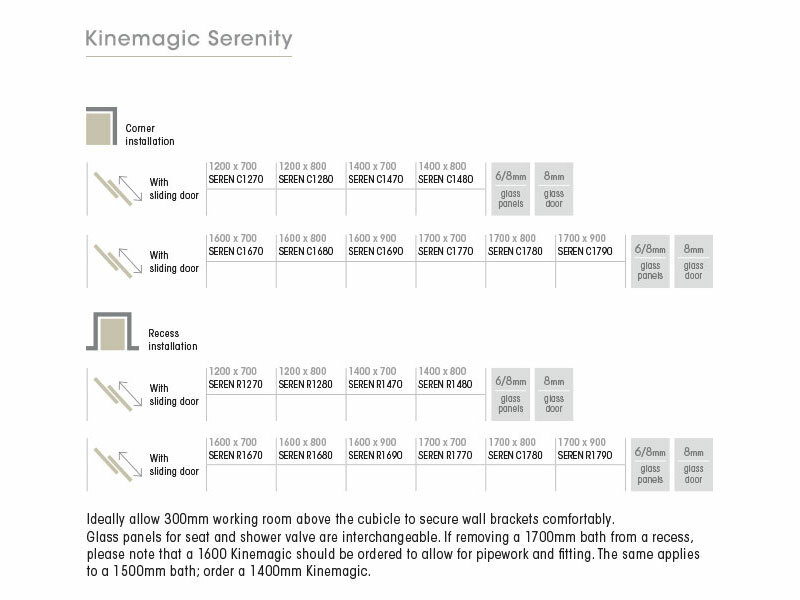 There is a mammoth range of 20 sizes, from 1200mm x 700mm all the way up to 1700mm x 900mm. 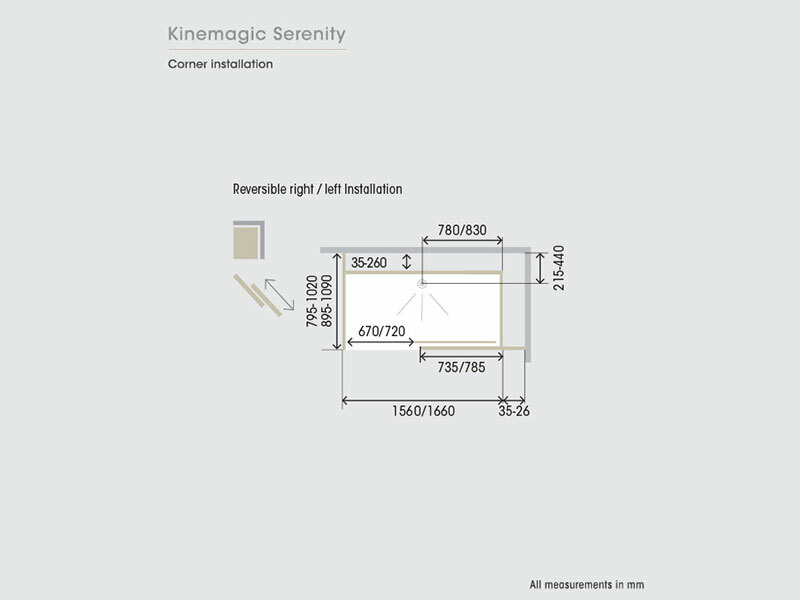 The KineMagic Serenity along with all of our Saniflo Systems and Kinedo Shower and Bath Solutions can be bought online with the reassurance of dealing with Ireland’s official Saniflo and Kinedo agent.